The Fifth Annual Spinitar Golf for Hope charity event will be held on Thursday, Oct. 24, at Oak Creek Golf Club in Irvine, CA. Oak Creek Golf Club is a new venue for the annual event, which last year took in more than $87,000, an event high. Every year, Golf for Hope brings together AV industry professionals who enjoy a day of giving back. Over the past four years, Spinitar has raised more than $300,000 for City of Hope, private, not-for-profit cancer treatment and research center that operates more than 500 clinical trials and offers innovative treatments, cancer support programs, precision-based therapies, and compassionate cancer care. Participants at least year's Golf for Hope event raised more than $87,000, an event high. 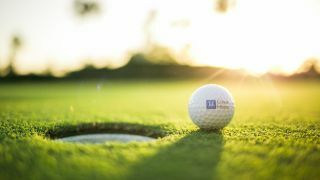 This year, Golf for Hope attendees will enjoy a full day of complimentary golf and dinner accompanied by a silent auction, raffle prizes, and awards ceremony. For more information on how you can support Golf for Hope, please email marketing@spinitar.com.